I've written a lot about gerrymandering on this blog, including some posts that became among the most read of the year. These posts don't just explain the problem, they offer solutions, such as the one John Oliver mentioned in his segment on gerrymandering, an independent redistricting commission. That was attempted here in Michigan two years ago, but the proposal went nowhere. Now, a group calling themselves Voters Not Politicians is trying. Watch them introduce themselves in Who is Voters Not Politicians? It's time for fair and transparent elections in Michigan where our votes matter and our voices are heard. Politicians are manipulating our voting maps for their political gain. Join Voters Not Politicians to reform the redistricting process and return the power back to the people! They explain themselver further in What is Gerrymandering? Borders in Michigan. Michigan is defined by borders that make our state unique and define who we are. But some of our most important borders have been drawn up by politicians to serve their own political agenda. It's called gerrymandering, and it divides our communities and silences our voices as voters. But here in Michigan, we can fix this and YOU can help. Make your vote count and your voice heard by heading over to http://votersnotpoliticians.com. The group has gained national attention are currently gathering signatures. They've been surprisingly successful, considering they're using only volunteers to collect them, and already have 350,000, well over the 315,000 needed. Their goal is 400,000. They're almost there. I have another video from Voters Not Politicians explaining the proposal they plan on putting on next year's ballot. Stay tuned for that. In the meantime, I have a holiday video post planned for midnight to start the new month. I left three comments at Booman Tribune that together form a series on Utah landscapes. The first was on SPP Vol.639 & Old Time Froggy Bottom Cafe and it's from Smithsonian Channel. "I have a video for that landscape." The second is from Matador University, included in this comment on SPP Vol.640 & Old Time Froggy Botttom Cafe. "Another video showing Utah's Iconic Landscapes From the Air." MatadorU alumni and filmmaker Max Seigal shows you a view of Utah that not many have seen before. Take a look at this iconic landscape like never before, in Utah from the Air. I hope my readers enjoyed the scenery as much as I did. I included a third video in my comment on SPP Vol.641 & Old Time Froggy Botttom Cafe but it's now unavailable. I have two reactions, phooey and that didn't take long. Stay tuned for the final entry of the month tomorrow at 7 P.M. E.S.T. National Day Calendar has more on National Day of Giving/Giving Tuesday. Follow over the jump for the nonprofits I've given to and others I recommend. After Black Friday/Buy Nothing Day and Small Business Saturday 2017 comes Cyber Monday. After a dozen years, the online shopping day is going stronger than ever, as CBS Evening News reports Record breaking sales expected for Cyber Monday. 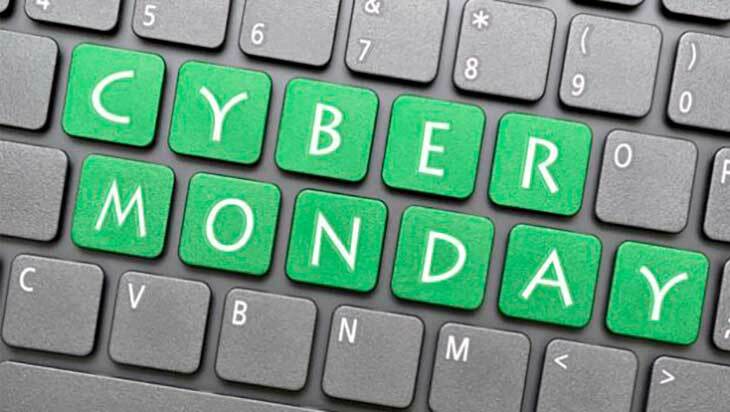 Cyber Monday is expected to be a record breaker this year. Analysts forecast $6.6 billion in online retail sales Monday. Meg Oliver reports. Lori Torgerson is right that there is room for a lot of winners, both online and in stores, even though brick-and-mortar stores and shopping malls are having issues. CBS This Morning makes that point as well in addition to the reasons for it in Why Black Friday isn't as big as it used to be. More than 164 million people plan to shop between Thanksgiving Day and Cyber Monday. The long weekend kicks off the holiday shopping season when shoppers will each spend an average of nearly $1,000. CBS News financial contributor Mellody Hobson joins "CBS This Morning" to discuss the move to online shopping and the strategies brick-and-mortar stores are using to lure shoppers. In addition to all the other reasons listed in the CBS This Morning report, CBS Los Angeles (KCAL 9) gives another reason why 85-90% of all sales take place in stores in Black Friday Or Cyber Monday? How To Decide. Many shoppers told KCAL9's Brittney Hopper that they prefer Black Friday to Cyber Monday because they like being able to handle the merchandise before buying. For many people, there's nothing like the actual physical experience. For those of us shopping online, WXYZ has Cyber Monday safety tips. Stay safe online and happy shopping! I made a note about the odometer in Good-bye Dez. Hello Snow Bear! A driving update. Snow Bear...had 264 miles when we bought her. That means we will have driven her 736 when she rolls over her first 1,000 miles. That's when I expect to post the next overall update on our driving. That happened last Wednesday, November 22. We bought the car on October 28, so it took 26 days for my wife to drive the car 736 miles. That translates to an average of 26.31 miles per day and 863.38 miles per standard month. That's a lot more than the 6.30 miles per day and 192.2 miles per month we drove her predecessor Dez between June and October. That happened because my wife drove to Chicago and back two weeks ago to visit our daughter. Family, like sustainability, is a priority. It's also a lot more than she drove Dez during the comparable period last year. See what I wrote in November 2017 driving update for Pearl plus Tesla Truck and Chevy Bolt news. I also have to recalculate how many miles my wife drove last year. September 19 to November 10 is 53 days, so she drove Dez 18.87 miles per day and 575.47 miles per month. 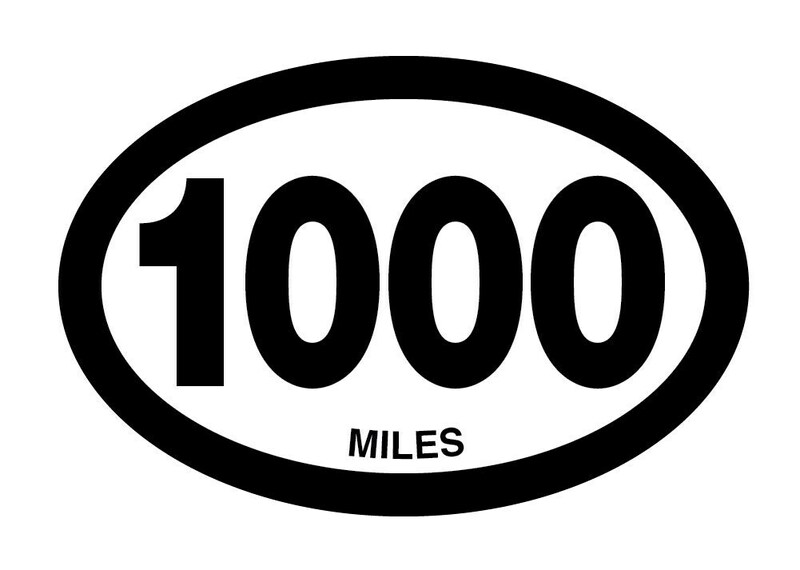 I'll have to apply those numbers to when Snow Bear, Dez's replacement, turns over 1,000 miles late this month. I'll also have to leave a comment on the original entry to correct the record. New cars are a lot more fun to drive as well as safer. For the combined mileage, when I add the exactly 20 miles per day and 610 miles per month from November 2017 driving update for Pearl plus Tesla Truck and Chevy Bolt news, my wife and I drove our cars an estimated 46.31 miles per day and 1473.38 miles per month. That's a lot more than during any of the comparable periods I listed when we traded Dez in. Trips from Detroit to Chicago will do that. I expect we'll be driving a lot less at the next update for both cars. The earliest Pearl should pass 39,000 miles is mid January based on when she did it at the start of this year. As for Snow Bear, that could be February or March based on my wife's normal driving patterns as possibly altered by having a new car. In any event, my wife and I are once again contributing to the continuing slow increase in total miles driven, as shown in this graph from Doug Short. 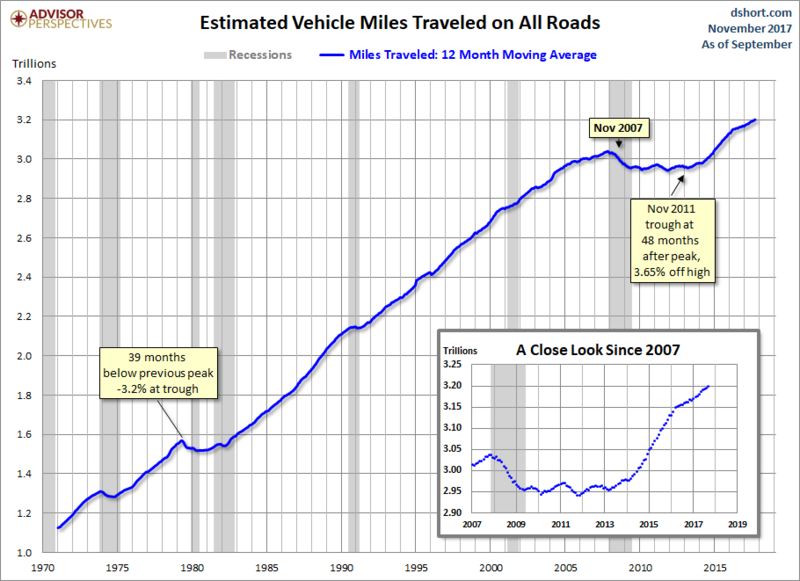 "Travel on all roads and streets changed by 0.3% (0.8 billion vehicle miles) for September 2017 as compared with September 2016. Travel for the month is estimated to be 262.5 billion vehicle miles." The less volatile 12-month moving average was up 0.12% month-over-month and 1.2% year-over-year. If we factor in population growth, the 12-month MA of the civilian population-adjusted data (age 16-and-over) is up just 0.04% month-over-month and up only 0.6% year-over-year. The latest data point is another all-time high. I expect this trend to continue until the next recession, which I'm still predicting will begin next year. I'll re-evaluate my forecast next month. Stay tuned. Happy Small Business Saturday! I'm observing today in two parts. First, I'm following up on 'Shop Small' on Small Business Saturday 2016, when I wished that "I hope Trump finds someone at least half as competent to take her position. As competent? Sorry, I'm too realistic." Trump managed to meet my expectations by appointing Linda McMahon, former President and CEO of the WWE and two-time Republican nominee for U.S. Senate as Director of the Small Business Adminstration. Here she is, delivering the Small Business Saturday PSA 2017. Second, I'm examining a very thin slice of the "Eat local" part of today by looking at Michigan's best local pizza. I begin with MLive's Top 5 Pizzas in Michigan. The Michigan's Best team presents the top 5 pizzerias in the state. MLive listed more top pizza places in Michigan's Best pizza: our 12 top choices revealed and Each Michigan's Best pizza nominee is special and here's why. Follow over the jump for WXYZ reporting on three of them in Metro Detroit. Happy Buy Nothing Day, my name for Black Friday! I won't be participating in either day, as I will be buying food but won't be Christmas shopping. Instead, I'm going to tell a story about the small part I played in making possible the building of a shopping mall. I've told this tale to my students several times over the years as an example of how I take revenge on people who cross me. * Follow over the jump to read it. Happy Thanksgiving! I'm starting this year's version of Tipsy Bartender drinks for Thanksgiving 2016 by being a good environmentalist and recycling one of my comments on Midweek Cafe and Lounge, Vol. 42. The night before Thanksgiving is one of the biggest bar nights of the year along with New Year's Eve and St. Patrick's Day. To celebrate, I'm offering Thanksgiving Punch from Tipsy Bartender. 1. Add fruits to base of punch bowl before pouring over alcohols and mixers. 2. Drop in apple slices, pear slices, cinnamon sticks, star anise and cranberries and stir gently. I concluded my comment by noting that "I have lots more Thanksgiving drinks where those came from, especially if one likes apple and pumpkin pies." That works just as well as a transition here. 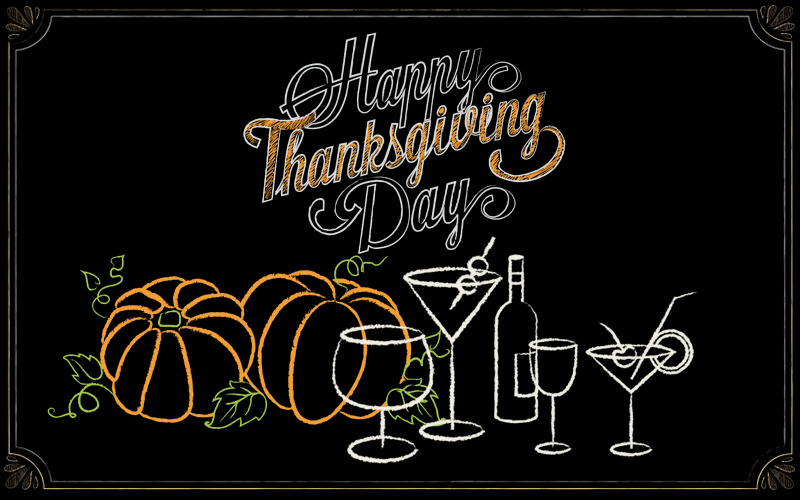 Follow over the jump for more of this year's Thanksgiving drinks from Tipsy Bartender. An early Happy Thanksgiving to my readers! I begin this year's celebration with the footnote to Vote for Troy Athens in the WDIV Battle of the Bands. 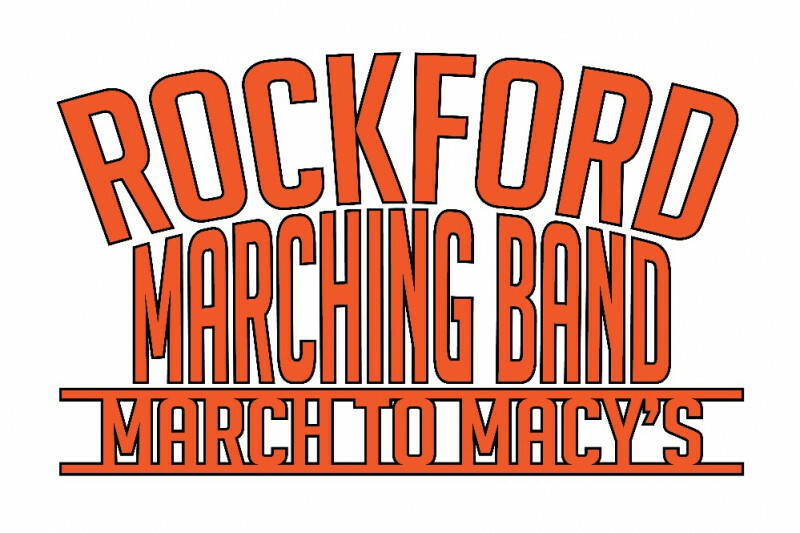 I'll be more excited about the bands in the Macy's Parade next year, when Rockford H.S. marches. That band earned won the highest class in the MCBA championship, beating Plymouth-Canton, who marched in the Rose Parade this year. Here's to hoping I remember to write about them next Thanksgiving! The story begin in April 2016, when MLive reported Rockford High School marching band selected for Macy's Thanksgiving Day Parade. Rockford High School marching band learns that they have been selected for Macy's 2017 Thanksgiving Day Parade. That was an excited bunch of students! A year and one-half later, the band has finished their fundraising and was ready to depart, as WOOD-TV showed last week in Rockford marching band ready to march in Thanksgiving parade. Fox 17 reported on the band's departure two days later, listing all the other events the band will attend. A lot of logistical planning went into the trip. The students will be seeing two Broadway shows, taking a trip to Ground Zero, and giving a performance in Central Park. The band members credit all of the planning to their parents and faculty. “Lots of lists and lots of prayers, too and lots of help. Lots of moms go into helping with the uniforms. There’s so much planning that it’s amazing," mother Robin O'Dett tells FOX 17. Seven charter buses are taking 305 students and two additional buses are taking friends and family. The group is traveling with about 265 instruments. An additional 26-foot truck was needed for the students' suitcases. That looks like a busy schedule, one that WOOD-TV followed up on yesterday in Rockford HS band to play in Thanksgiving Day Parade. Good luck to the Rockford Rams marching band and may you do as well as Plymouth-Canton and Walled Lake Central did in their Macy's Parade appearances. After all, as WOOD-TV mentioned, you won the state marching band championship, beating both of them. Follow over the jump for Rockford's performance at Ford Field, where it was the highest-scoring unit in competition, as well as that of the lowest-scoring unit, Southgate Anderson, which is performing in America's Thanksgiving Parade in Detroit tomorrow, and is thus participating in WDIV's Battle of the Bands. I'm generally positive about minor parties, last expressing that sentiment in Vox explains how proportional representation can solve gerrymandering and help minor parties. However, they will not solve all political problems, as I described in On American political parties held captive by their interest groups and ideologies. One of the problems I did not mention appeared in a video I used in a comment on Republicans Will Have to Make a Choice at Booman Tribune. "I await a third party movement." I'll let Ezra Klein of Vox answer that for me. 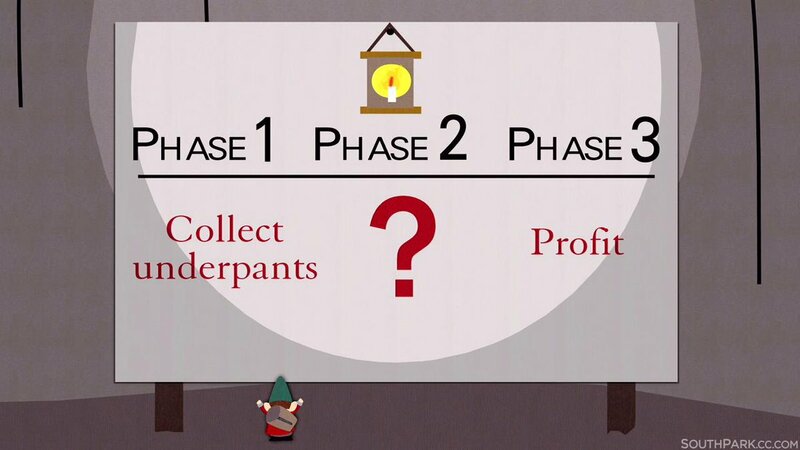 Here is Third parties are the underpants gnomes of American politics. Could a third party fix the hellscape of fail that is the United States Congress? Ezra Klein explains. My summary was "No, although that's not really what I think you're after." My response could have been more pointed. I could have done for liberals what Pizza Man Cain wants a third party for conservatives, never mind three already exist did for conservatives, pointing out that the Green Party already exists and he could join them. As it was, I trolled the person asking the question gently another way. By the way, be flattered. I was going to post this in response to Brodie, but I decided you were more deserving. Besides, this comment will land directly below his anyway. I can throw shade and still be civil. I think that's a good skill to have. Today I conclude the series that began with "Blue Planet II" and continued with "Beyond a Year in Space" by examining Frontline's follow-up to "The Choice 2016," "Putin's Revenge," which was mentioned in the acceptance speech for Outstanding Politics & Government Documentary at the News and Documentary Emmy Awards. * Watch the trailer from "Frontline." How did Russian president Vladimir Putin come to see the U.S. as an enemy, and why has he sought to sow distrust in America's democracy? 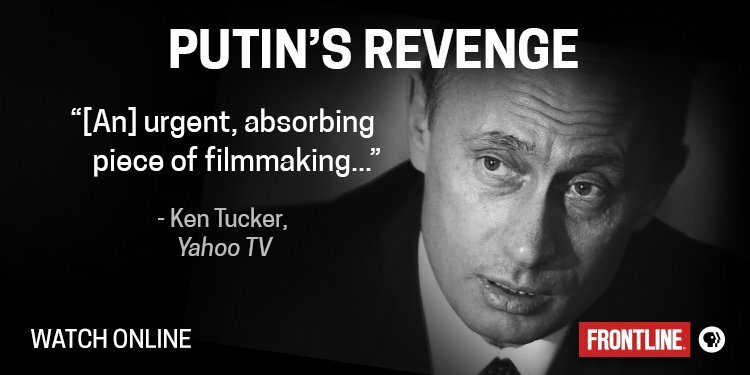 From filmmaker Michael Kirk and the team behind "The Choice 2016" comes this epic, two-part documentary examining Putin's rise, rule and motivations, and the American responses. Follow over the jump for three clips from the documentary itself. 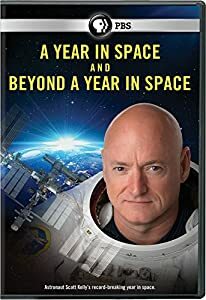 Today, I'm continuing looking forward to next year's Emmys with the follow up to A Year in Space, "Beyond a Year in Space." Here is the Official Teaser Trailer for the program from PBS. Beyond a Year in Space picks up where the first film left off: Scott Kelly’s last day in space and return to Earth. The final installment also introduces viewers to the next generation of astronauts training to leave Earth’s orbit and travel into deep space. The central project of the mission, which I first blogged about in Twins on Earth and Space, was and still is The Twin Study. As I wrote in Space, Ebola, volcanoes, stroke, and human expansion the topics of Science and Technology Documentary nominees, "Here's to it being nominated for an Emmy next year. If so, I'm looking forward to blogging about it." It just aired on November 15 and I'm blogging about it already! I made a programming note in one of the footnotes to November 2017 driving update for Pearl plus Tesla Truck and Chevy Bolt news. Yesterday was also the third anniversary of putting an offer on my current home and having it accepted. I plan on writing about that and my prediction that the U.S. home ownership rate would start going up tomorrow. Here's what I wrote three years ago Thursday. I showed my hand to Greer later in the entry, when I wrote, "Now to see about buying property as it struggles off the bottom." Well, that time has arrived. We've made an offer on a house and it's been accepted. Wish my wife and me luck as we both get on board, just in time for the housing market to go back up. Yes, it's a business as usual decision and I know these are not business as usual times, but as I'm fond of saying, I can't be all DOOM all the time. It took just over a year and a half for the home ownership rate to rise, as the Washington Post managed to document the bottom in Why the decline of the homeownership rate is good news. The U.S. homeownership rate has just fallen to its lowest level since the Census Bureau began tracking it in 1965. During the second quarter of this year, only 62.9 percent of U.S. households were owner-occupied residences, down from the all-time high of 69.2 percent reached in the fourth quarter of 2004. Contrary to entrenched conventional wisdom, however, the ongoing decline of the homeownership rate is actually good news. Here’s why: Thanks to recovering real estate values, today’s homeowners as a group have the same equity in their property — roughly 58 percent — that the record-size cohort did back in late 2004, according to the Federal Reserve. Ergo, there’s now more equity, on a per- household basis; current homeowners’ tenure is that much more sustainable and secure. “They are now more able to weather an economic disaster,” says Ralph McLaughlin, chief economist of Trulia.com, the online home-listing service. To put it another way: The United States actually has more homeownership, in economic terms, than it did when the homeownership rate, a measure of mere legal ownership, was higher. Accordingly, the economy should also be less vulnerable to another real estate shock. We’re still not back to the rock-solid days of 1983, when the homeownership rate was a hair under 65 percent and equity hit an all-time high of 70 percent. The following graph from the St. Louis Federal Reserve shows that previous peak in home ownership rate and then some back to the 1960s. It also shows how small and recent the rebound in home ownership rate is. Just the same, I'm glad to have jumped on the trend just before it turned around, just like I did the last two times when my ex-wife and I bought in 1994 (not 1995, as I misremembered), which was a little ahead of the rapid rise in home ownership, or before it accelerated, like when I sold in 2006, a couple years after the peak but before the bottom fell out of both housing values and home ownership rates. As I wrote three years ago, "I shouldn't be reassured by moving with the herd, but in in this case, I am." 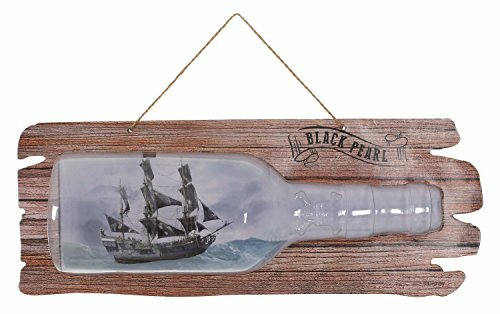 That's how I ended September 2017 Driving update: Pearl on September 27. I was at least partly right, as Pearl turned over 37,000 miles on Wednesday, November 15. That's later than November 9, but only by a week. Time for me to run the numbers to see how far off the rest of the predictions I came. As for driving less than 7,000 miles per year, I managed that, but not by as little as I had hoped. It took 371 days to drive 7,000 miles from November 9, 2016 to November 15, 2017 for an average of 18.87 miles per day and a total of 6886.8 miles per year. Sorry, that wasn't closer to 6,500 than to 7,000. However, at least I wasn't sick. Just as I did for twice before for these updates, I have news from Tesla about the latest in electric vehicles plus a bonus report about the Chevy Bolt. Follow over the jump for those. 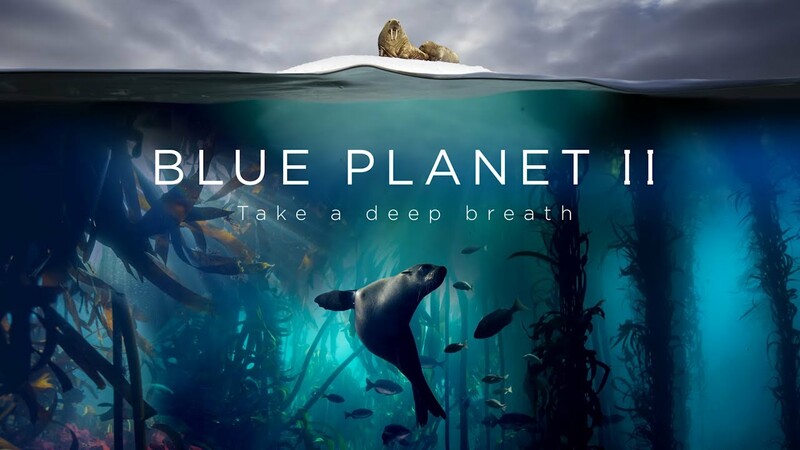 I missed a holiday when I posted 'Blue Planet II': Looking forward to next year's Emmys, World Diabetes Day. 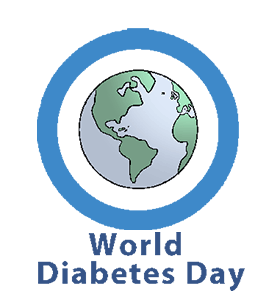 Around the globe on November 14, World Diabetes Day raises awareness and provides education concerning a disease that affects over 400 million adults internationally. According to the International Diabetes Federation (IDF), by 2040 approximately 642 million adults will have diabetes. With diabetes causing 5 million deaths in 2015, this projection is a source of concern. Awareness, education, action and research all can make a difference. Visit www.worlddiabetes.org to learn more about both type 1 & 2 diabetes. Find out how to get screened, to prevent type 2 diabetes and more about treatment. Use #WorldDiabetesDay to share on social media. The International Diabetes Federation & the World Health Organization created World Diabetes Day in 1991 to raise awareness of the rising threat of diabetes around the world. In 2006, the day became one of the official United Nations Days. Since I've recently been diagnosed as a Type I diabetic and my youngest cousin died earlier this year because of complications from diabetes, this day now has extra meaning for me. While I've posted about diabetes 34 times on this blog starting in 2011 (35 counting today), I've rarely made it a featured story, I suspect that will change beginning with observing World Diabetes Day from now on. Today, I'll close by posting this video about the international symbol for diabetes, the blue circle. HIV/Aids has the red ribbon. But what is the international symbol for diabetes? I'll be happy to wear a blue circle pin to increase awareness starting next year. Happy America Recycles Day! 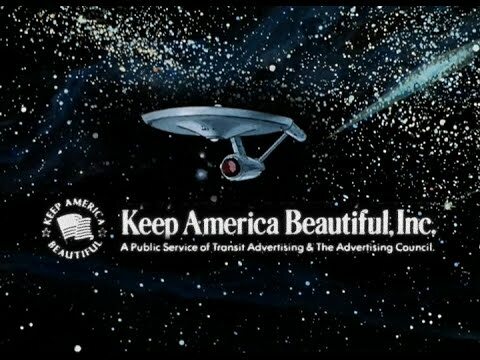 For today's celebration of a holiday I first (and last) observed in 2013, I'm sharing StarTrek Keep America Beautiful PSA. It's not just Keep America Beautiful, it's keep the universe beautiful, too. While the above certainly fits several of the themes of this blog, especially as it has evolved over the years, it's not a conventional America Recycles Day message. The City of Lake Forest, California has one of those, complete with lots of good tips. On November 15, join the City of Lake of Forest in making a#BeRecycled pledge for America Recycles Day and demonstrate how it's #Easy2bGreen! 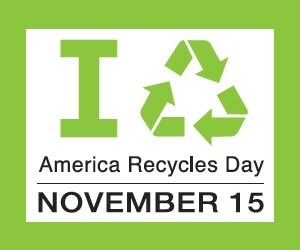 All that advice means today is not just America Recycles Day, but also America Reuses and Reduces Day as well. I changed my mind about writing more about this year's News and Documentary Emmy winners. Instead, I've decided to look ahead to shows that might win at next year's Emmy ceremonies. The first is "Blue Planet II." Like "Planet Earth II," it's a sequel to a famous BBC series from a decade ago. Also like "Planet Earth II," it has great music, beginning with Radiohead & Hans Zimmer - (ocean) bloom. Radiohead, one of the world’s most acclaimed rock bands, and Hans Zimmer, one of the planet’s most successful movie and TV composers, have joined forces to produce an exclusive track for BBC America’s upcoming natural history series, Planet Earth: Blue Planet II, coming to BBC Ameria in early 2018. Radiohead and Hans Zimmer’s orchestrally reimagined version of the Radiohead song ‘(ocean) bloom’ from their 2011 album sees Radiohead’s Thom Yorke rerecord the vocals and produced by Russell Emanuel of Bleeding Fingers Music, the company which also crafted the BAFTA & Emmy-nominated score to BBC America's Planet Earth II. Vox has more on the song in How Hans Zimmer and Radiohead transformed "Bloom" for Blue Planet II. Radiohead's "Bloom," remixed for the ocean. While this song in this form is only being used in this promotional clip, which itself might be nominated for Best Commercial or Promo, its melody does make it into the main theme. I fully expect this series' score to be nominated along with more nominations for Outstanding Documentary or Nonfiction Series and Outstanding Cinematography for a Nonfiction Program -- but my readers and I won't know that until next summer. Stay tuned. On November 13 as part of World Kindness Day, we are encouraged to spread kindness like an infectious cold. We want to share it more than usual because studies show when others observe kindness in action they are more likely to carry out an act of kindness, too. To celebrate, there has been a World Wide Dance for Kindness since 2012. KTVU documented the preparation for this year's event in Bay Area dancer choreographs flash mob for World Kindness Day. People in over 50 countries will perform the routine. KTVU's Claudine Wong reports. For all of last year's finished product, portions of which were included above, watch the official Dance for Kindness 2016 Worldwide Montage from Life Vest Inside. Every year Life Vest Inside organizes Dance for Kindness (DFK), a worldwide event, in honor of World Kindness Day - showing that regardless of the differences in race, religion, ethnicity, culture and background - the common thread that unites us all is kindness. In 2016, DFK took place in over 120 cities, 50 countries with over 15,000 participants. It turns out that yesterday was Dance for Kindness 2017 and videos are already being posted, such as this one from Sudbury, Ontario, Canada. CMHA and Spotlight Dance Company hit the downtown for a flashmob for World Kindness Day. As for the message, I think kindness won't be sufficient to solve our problems, but I think it will be necessary. Be kind today. For the Sunday entertainment feature, I'm recycling what I wrote on Dreamwidth. Four years ago, I wrote Finally, a Ringworld movie! That's the one in which I repeated my twenty-year-old grousing about how I wrote an adventure for Chaosium's Ringworld table-top RPG, but lost all that effort because the movie rights to the book were sold and the movie production company asserted that they had the game rights, too. To add insult to injury, there was no movie. Apparently, that will change, as SyFy announced that they will develop the book into a four-hour miniseries. The good news was that it became one of the two most read posts of that year. The bad news is that no "Ringworld" movie or miniseries came of it. Not all is lost, as io9 reported this week Amazon Is Developing a Bonanza of Genre Titles: Ringworld, Snow Crash, and Lazarus. Amazon just announced a virtual land grab of genre titles that it’s putting into development: Larry Niven’s scifi classic Ringworld; Neal Stephenson’s cult classic Snow Crash; and Greg Rucka’s acclaimed comic Lazarus. In a perfect world, we could be seeing all three made into drama series. As Deadline reports, the announcement comes as the streaming network is hoping to land a “big-scope genre drama series in the mold of Game Of Thrones and The Walking Dead.” There aren’t too many details yet, but the standout points include: the Ringworld project will likely draw not just from Niven’s 1970 original, but other books in the series; Rucka will be adapting Lazarus himself from page to screen; and Snow Crash will be co-produced by Joe Cornish, who at one time had the project on his own feature-directing slate. I'm a lot more confident in Amazon pulling off "Ringworld" than I was about SyFy, so I'm looking forward to it. The other project I want to see is "Snow Crash." It may not be the best of Stephenson's novels, but it is the best-known and it's a lot of fun. Here's to both of them reaching the small screen before the decade is out! Here's to getting that "Ringworld" movie I was promised 33 years ago, even if it ends up being a series streaming on Amazon! Happy Veterans Day, everyone! Three years ago, I wished my readers a drum corps Veterans Day, in which I featured corps from all branches of the armed services. 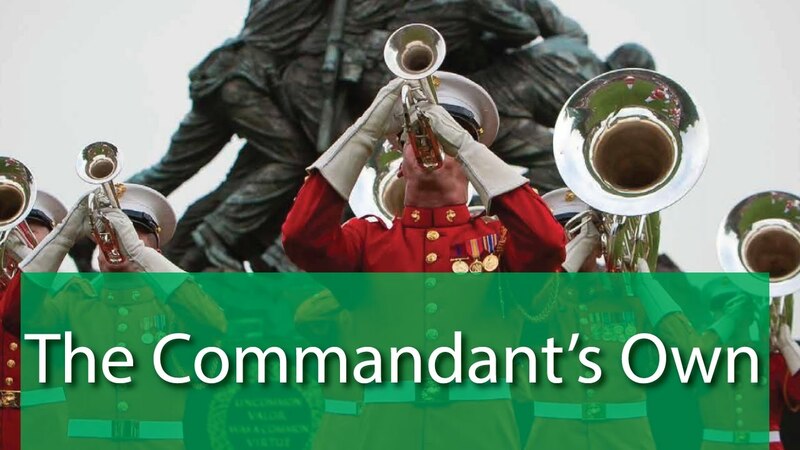 This year, I'm featuring just the U.S. Marine Corps Drum and Bugle Corps, AKA "The Commandant's Own." Not only is today Veterans Day, yesterday was the Marine Corps Birthday and the Marine Corps Drum and Bugle Corps was founded on November 4, 1934. A triple celebration for a single organization! Without any further ado, I present "The Commandant's Own" at the 2016 DCI World Championships. Here's what I wrote in the comments to The world is poorly designed. But copying nature helps. Barry Commoner's Third Law of Ecology states "Nature knows best." One of the corollaries of Commoner's Second Law of Ecology is "There is no 'waste' in Nature." This video demonstrates both of them. It also touches on Commoner's First Law: Everything is connected to everything else. Watch and see that I'm right about the use of Commoner's Laws in biomimicry. 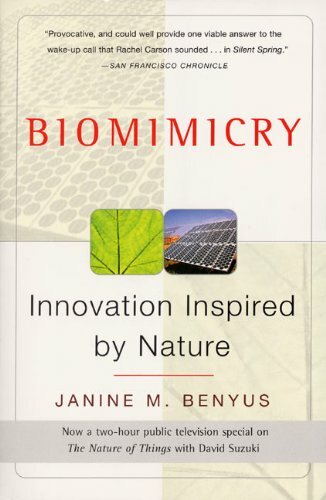 Nakatsu’s case is a fascinating example of biomimicry, the design movement pioneered by biologist and writer Janine Benyus. She's a co-founder of the Biomimicry Institute, a non-profit encouraging creators to discover how big challenges in design, engineering, and sustainability have often already been solved through 3.8 billion years of evolution on earth. We just have to go out and find them. Benyus also touches on Commoner's Fourth Law, there is no free lunch, in the following quote. I think she is absolutely right. So do a lot of viewers, as this video is currently #14 on YouTube's trending list. I was originally planning on writing about the Virginia and New Jersey election results today, but Vox's How to break the two-party hold on American politics struck my fancy instead. Watch as it explains how proportional representation can solve gerrymandering and help minor parties. Replacing our current system with proportional representation will make more room for the wide range of views in US politics. Matthew Yglesias expands on this video in The real fix for gerrymandering is proportional representation. Creating majority-minority districts to ensure racial representation can look a lot like “packing” Democratic voters into lopsided seats. Aiming at fair fights sounds nice but will end up violating communities of interest. Aiming for partisan fairness will necessarily involve some odd squiggles, since neighborhood-level partisanship can be very disparate. She said that when she teaches redistricting law, she does proportional representation last because it solves all the problems and the point of the class is for the students to work through the different complexities and legal doctrines governing the American system. That seems smart as a pedagogical approach, but as an agenda for political reform, solving all the problems is a good idea. This is a solution that would address several issues I've explored here, redistricting/gerrymandering, Duverger's Law, and minor parties. It would make the first essentially irrelevant, it would eliminate the conditions for the second (single-member districts with first past the post winners), and would allow people to cast votes for minor parties without "wasting their vote. "* It's also a really radical solution by U.S. standards, but a Crazy Eddie like me might just approve of a radical solution to preserve and improve democracy. *I disagree with this characterization. To me, the person who wastes a vote is the one who stays home. At least people voting for the Libertarians, Greens, or Constitution Party are making a point. Here's news so expected I wrote the first half of this post's title of on Sunday: Mike Duggan wins re-election, beating Coleman Young II for Detroit mayor from WXYZ. Congratulations to Mayor Mike Duggan! I agree with him and the overwhelming majority of Detroiters that Detroit is moving in the right direction. I also would like to agree with Duggan as he says "This is the year we put us-versus-them politics behind us forever," as MLive reported. "This is the year we put us-versus-them politics behind us forever," says Detroit Mayor Mike Duggan after winning reelection, Nov. 7, 2017. I hope that's true, but I'll have to wait to see if it is. Until then, "One Detroit!" The other Detroit contest I was watching was for Detroit City Clerk. The Detroit Free Press reported Janice Winfrey re-elected Detroit clerk in tight race. I live out in the suburbs, not in Detroit, but I was still rooting for Gilcrist. That should come as no surprise after what I wrote in The party starts as Michigan recount begins as ordered. That a third of precincts in Detroit may be ineligible for a recount is not good news for anyone having their hopes up that this recount will change the result of the election. If anything, Trump's lead may increase because of it. It also makes me even less enamored of both Janice Winfrey, the Detroit City Clerk, and Cathy M. Garrett, the Wayne County Clerk. Neither one of them appears to be running a tight ship, or otherwise these kinds of irregularities would happen so frequently. If either ever is up for nomination at a Michigan Democratic Convention for Secretary of State, I'm not voting for them and might just see if I could join a group to recruit another candidate. Barb Byrum in Ingham County or Lisa Brown in Oakland County, the first two counties to participate in the recount, would be my choices. Winfrey deserved that scare and I hope it makes her run the Detroit City Clerk's office better. As for the Democratic nomination for Secretary of State, I doubt either Byrum or Brown will be running next year. Jocelyn Benson, who ran for the office in 2010, is running again. I already plan on voting for her, both at the convention and in the general election. Follow over more election news from across Michigan. 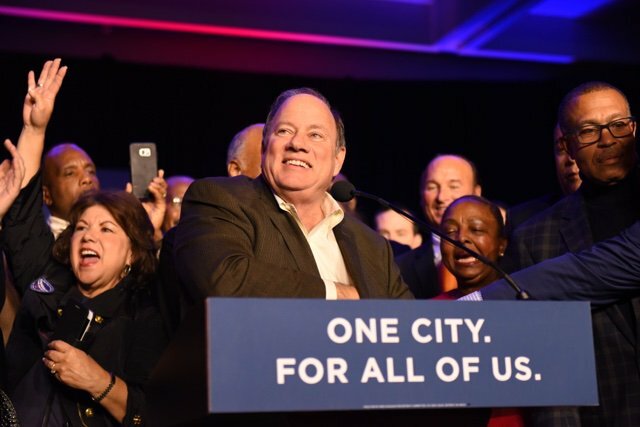 Today, many Americans across the country are going to the polls to vote in municipal elections, including here in Detroit where Mayor Mike Duggan is up for reelection. In addition, residents of New Jersey and Virginia are voting for Governor and other state (or Commonwealth, in the case of Virginia) offices. As I wrote yesterday, I plan on reporting on the results throughout the rest of the week, starting tomorrow. Today, I join Last Week Tonight with John Oliver in asking Voting On Tuesday - How Is This Still A Thing? Tuesday voting is highly inconvenient, so why do we still do it? I've had to answer questions from my immigrant friends about why Americans hold elections on Tuesdays before, and I'm relieved to see that I gave them the right answer. As for what to do about Tuesday elections, I favor the Puerto Rican solution; declare election day a holiday. I even have an image for that. I have one more Emmy winner to post that features a President, one that covered a town hall with then President Obama. I have that planned for Monday. Stay tuned. That's what I promised my readers at the end of 'Trump University Fraud' wins Outstanding Business, Consumer, Economic Report. Watch Clarissa Ward announce the winner for Outstanding News Special and notice how many of the nominees would have fulfilled that promise. ABC News has the trailer for the winner, America in Black and White: The President and the People. President Obama took on the issue of race and policing in a town hall moderated by ABC News' David Muir. 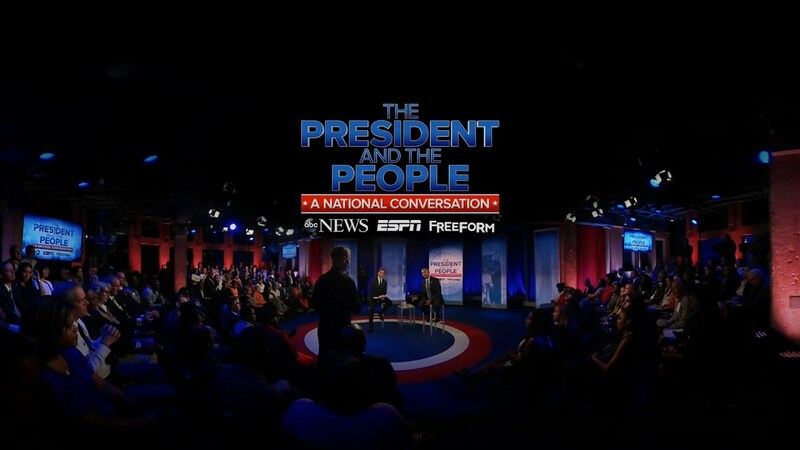 Just as I did for Frontline's "The Choice 2016" wins Outstanding Politics & Government Documentary, I am sharing the entire special -- President Obama and the People Town Hall: A National Conversation. President Barack Obama has a national conversation with the people of the United States on race relations, justice, policing and equality by the members of the community. ESPN's Jemele Hill will join David Muir as the host of this ABC News special. This show demonstrates some of the many reasons I miss Barack Obama as President. His calmness, reasonableness, and compassion helped to manage the conversation in order to bridge the two sides. That's not happening now. America badly needs to examine the intersection of racism and what I grew up calling police brutality (back then, that referred as much or more to beatings and other forms of "unnecessary roughness" than police shooting and killing suspects, but that was before the militarization of police). Unfortunately, the election of Trump has derailed the conversation. Hillary Clinton might have been better able to manage it, but she will never have the chance. Americans will have to wait, most likely until the next decade, for someone else at the highest levels of government to resume a productive conversation. Sigh. That's it for the News and Documentary Emmy winners I plan on examining -- for now. I might look at the awardees that examine terrorism and the civil wars in the Middle East, but not until after I report on the municipal and state elections happening tomorrow. I'll see how I feel after that. Until then, stay tuned. I've become increasingly skeptical about the benefits of Daylight Saving Time since I first mentioned in on this blog in 2012. 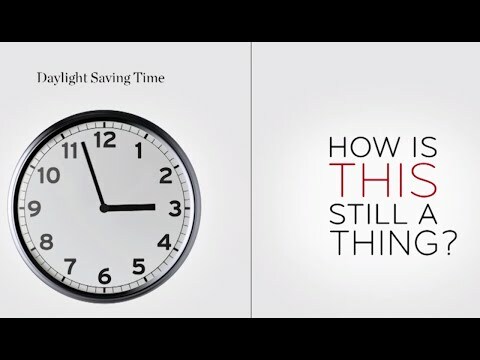 I'm not alone, as two-and-one-half years ago, Last Week Tonight asked Daylight Saving Time - How Is This Still A Thing? Daylight saving time doesn’t actually benefit anyone. Strangely, it’s still a thing! All of that applies most strongly to springing ahead, not falling back, but falling back has its own perils. The Skit Guys demonstrate one of them in Left Behind! Daylight Savings Reminder. The life of Henry Lovegood was simple. There was a routine and Henry loved routines. Wake up. Shower. Prepare breakfast. Read a bit. Drive to Church. Until it wasn’t. Watch as Henry Lovegood’s life is turned upside down by forgetting to set his clocks back one hour. Don't be Henry. Fall back so you don't get left behind. Yes, the winner really was "Trump University Fraud," a segment on CNN's Anderson Cooper 360. CNN has all of the clip used in the awards ceremony: Trump University instructor: What I did was sales. As Donald Trump's Trump University lawsuit moves forward in court, CNN's Drew Griffin sits down with a former instructor and real estate expert who said he was the best salesman at the school. The most damning part of the interview was used again in New motion filed in the Trump University case. President-elect Donald Trump faces three lawsuits surrounding Trump University. CNN's Drew Griffin investigates. Judge Curiel advised the parties in the case he's overseeing to settle the suit. 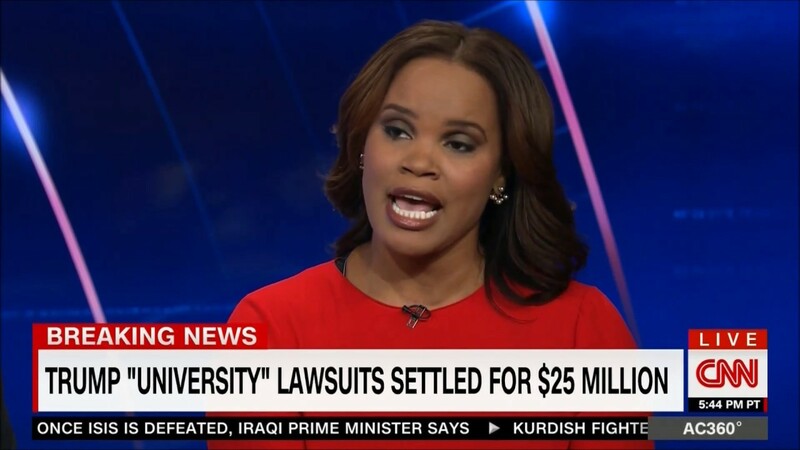 That happened a few days later, as Trump University lawsuits settled for $25M. New York's Attorney General Eric Schneiderman announced his lawsuit against Trump University will be settled for $25 million, calling it a "stunning reversal" of President-elect Donald Trump's position. 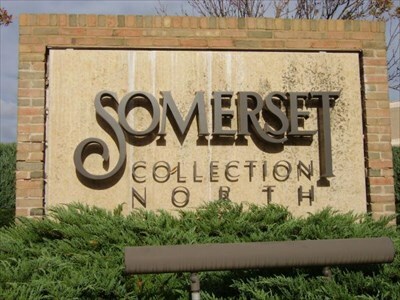 Two class action lawsuits are also covered by the settlement. That should have taken care of the suit except that Sherri Simpson is appealing the settlement so she can sue independently. This case is not over. I have one more Emmy winner to post that features a town hall with then President Obama. I have that planned for Monday. Stay tuned. *The "60 Minutes" report on "AgroMafia" is another one I should have mentioned last month. I might look at it and blog about it later. I concluded 'Thank You For Playing' wins Outstanding Arts & Culture Documentary by telling my readers to "Stay tuned for the two other winners, which are about last year's presidential election." Today's entry is about the winner of Outstanding Politics & Government Documentary, Frontline's "The Choice 2016." Watch as Byron Pitts announces the winner and presents the trophy. Yes, Omarosa sounded ridiculous then, but she doesn't sound quite as mockable now. It doesn't help that I used to be a big reality competition show fan, enough so that I was a moderator on a reality TV discussion forum back in 2005 and 2006, so I became familiar with her as a villainous contestant on "The Apprentice." That made it difficult for me to take her seriously. I'm sure I'm not alone. Now, Americans have to take her much more seriously, which is a frightening thought. Speaking of Omarosa, here she is along with Roger Stone and others in the full trailer for "The Choice." FRONTLINE’s dual biography investigates Hillary Clinton and Donald Trump, and what has shaped them. FRONTLINE’s acclaimed series "The Choice" returns this fall with a two-hour film investigating what has shaped Hillary Clinton and Donald Trump, where they came from, how they lead and why they want to take on one of the most difficult jobs imaginable. From veteran FRONTLINE filmmaker Michael Kirk, "The Choice 2016" premieres Tues., 9/27 on PBS and online at pbs.org/frontline. That made me want to watch the whole program, even though it wouldn't be a useful now as it would have been a year ago. In case my readers and I ever do, Frontline has it on YouTube and has allowed it to be embedded. 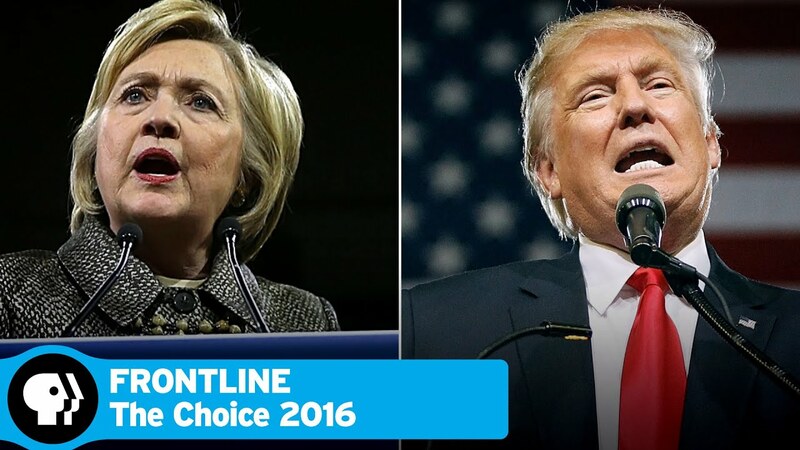 Here is The Choice 2016 (full film) | FRONTLINE. While it will no longer influence the election, this documentary can still help people understand what happened and why, as well as gaining greater insight into Trump, who is still the President of the United States, whether my readers and I like it or not. Along with "The Choice," these six are half of PBS's 12 winning shows, the most of any outlet. That high level of quality tells me I really should support public broadcasting more, especially since funding for the Corporation for Public Broadcasting was threatened in Trump's initial proposed budget. Fortunately, Congress retained funding in the current budget, but the potential threat still lurks. Tomorrow's entry will also be about an Emmy winner that examined Trump. Stay tuned. I told my readers "I may have at least one more winner to post about next month" at the end of 'The Rachel Maddow Show' wins an Emmy for its coverage of the Flint Water Crisis. As of now, I have three, but I'm only writing about one of them today, "Thank You For Playing." When I compiled the nominees for 'Body Team 12' and 'Extremis' both nominated for Outstanding Short Documentary plus other science, health, and environment nominees, I really should have included "Thank You For Playing." Like "Extremis," it's about end-of-life care, although at a more leisurely pace than seen in an emergency room. Like the Science and Technology Documentary nominees, it's about technology, in this case, video games. Like "Sonic Sea," "Stephen Hawking's Favorite Places," and the rest of the nominees for Outstanding Graphic Design and Art Direction, it's about graphics, again for a video game. It wasn't nominated for any of those categories. Instead, it was nominated for Outstanding Arts & Culture Documentary, so I missed it the first time around. The National Academy of Television Arts & Sciences didn't, giving me a chance to redeem myself. Watch Katy Tur present an Emmy to "Thank You For Playing." I can tell that filming the documentary was an emotional experience and she was only the director. For the parents' perspective, particularly the father's, watch the trailer for Thank You For Playing from POV on PBS. I found that moving, but not nearly as much as "That Dragon, Cancer" Feature Film - "Thank You For Playing" Documentary from Family Gamer TV. We talk to film makers David and Malika, directors of “Thank You For Playing” the film about the video-game That Dragon, Cancer. The film may have won for arts and culture, but it's also a worthy examination of health and technology. It's also very emotional. My eyes are still moist as I write this. Stay tuned for the two other winners, which are about last year's presidential election. 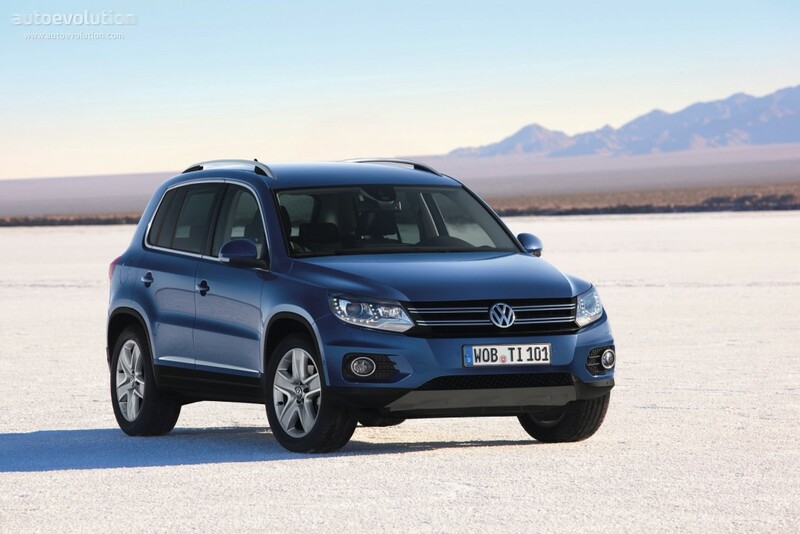 This past Saturday, my wife and I traded in Dez for a new white Tiguan, which my wife has named Snow Bear. That means its time for a final driing report on Dez, which turned over 55,000 miles on June 21st. Between June 21 and October 28, my wife and I drove Dez 813 miles over 129 days. That's an average of 6.30 miles per day and 192.2 miles per month. That's slightly more than half the 11.76 miles per day and 358.82 miles per standard month she and I drove the car between March and June and still less than the 7.19 miles per day or 219.42 miles per standard month we drove the car between November 2016 and March 2017. It's also much less than the 22.73 miles/day and 693.18 miles/standard month she drove it during the second half of the comparable period last year. Not visiting our daughter in Chicago will do that. During that same time, I drove Pearl more than 2,000 miles. In the first update, Driving update: two years of Pearl as Tesla begins deliveries of Model 3 today, I reported that I drove an average of 18.18 miles per day and 554.55 miles per standard month between June and July. My calculations for the second update, September 2017 Driving update: Pearl, showed that I drove an average of 16.39 miles per day and exactly 500 miles per standard month. The average of the two is 17.29 miles per day and 527.28 miles per month. Added to Dez's final miles and rounded to the same decimal points, my wife and I drove a combined average of 23.59 miles per day and 719.5 miles per month. That's less than the 31.18 miles per day and 950.88 miles per standard month we drove between March and June. It's also less than the 26.26 miles per day and 800.90 miles per month we drove between November and March. It's still less than the 24.93 miles per day and 760.4 miles per standard month we drove both cars during the first half of the comparable period last year. My wife and I are reducing our carbon footprint both by driving less overall and by having a higher proportion of the miles on Pearl the Prius. As for Snow Bear, she had 264 miles when we bought her. That means we will have driven her 736 when she rolls over her first 1,000 miles. That's when I expect to post the next overall update on our driving. Speaking of which, Pearl should roll over 37,000 miles around Thanksgiving. Stay tuned. Finally, Dez, farewell and may you be as good a car for your next owner as you were for us!